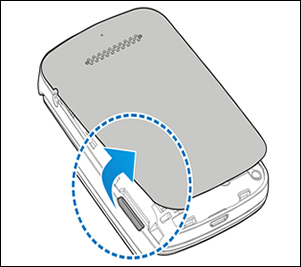 Using the notch (lower-left edge, when the device is face down) gently lift and remove the battery cover. 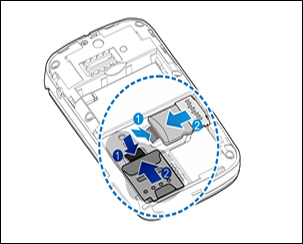 From the notch in the upper edge of the battery compartment, lift and remove the battery. 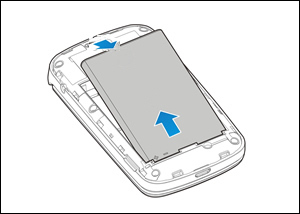 Press the soft block down and slide the SIM card out.